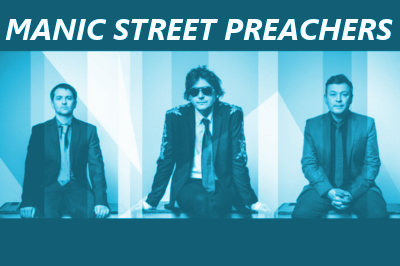 The Manic Street Preachers return to the SSE Hydro Glasgow in April 2018 touring their latest album ‘Resistance is Futile’. The Welsh rockers have now released 13 studio albums and scored countless hits through their career from their debut album ‘Generation Terrorists’ through to ‘The Holy Bible’ and ‘Everything Must Go’. At turns the band have delivered challenging records along with collections with a more accessible sound, but always with their thoughtful, exploring lyrics. Support on the tour comes from Merseyside rockers The Coral who will be playing tracks from their albums ‘the Coral’, ‘Magic and Medicine’ and 2016’s ‘Distance Inbetween’. Tickets for this Glasgow show taking place Wednesday 25 April 2018 go on general sale from Friday 24 November 2017.